Polypay are synthetic sheep, developed in the 1970s at the U.S. Sheep Experiment Station in Dubois, Idaho, and Nicholas Farms at Sonoma, California. 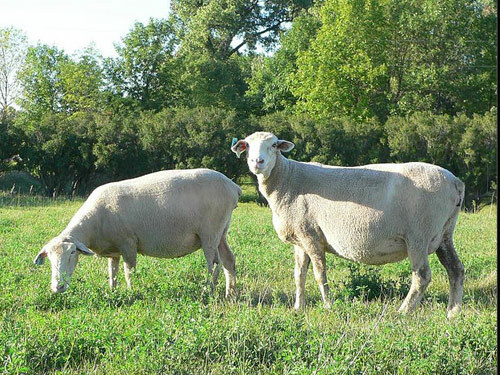 Targhee x Dorset and Rambouillet x Finnsheep crosses were mated to form a 4-breed composite that could produce two lamb crops and one wool crop per year. Polypays are a medium-sized, prolific breed with an extended breeding season. Good mothers and milkers, they produce lambs with acceptable growth and carcass quality. The name Polypay comes from "poly" for many or much and "pay" to indicate a return on investment and labor.